Athletic injuries are simply part of the game. Whether you are an amateur, a weekend warrior or a dedicated athlete, the sports medicine-trained physicians at Maguire & Early Orthopedics help you stay strong in a couple of ways. First, we treat athletic injuries – and through prevention, diagnosis, treatment and rehabilitation that restore you to active health and fitness. Second, we help you compete at the highest level, as befits a professional athlete. 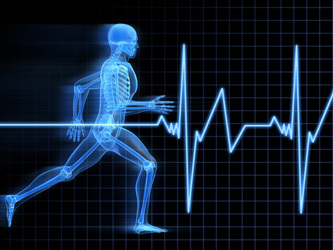 Today, sports medicine physicians care for recreational athletes and people who strive to stay active and fit. Working with athletes from little leaguers to elderly exercisers and the weekend warriors in between, sports medicine is playing a key role in keeping them healthy. While sports medicine physicians have continued their traditional care of musculoskeletal injuries sustained by professional athletes, its range has exploded. Today sports medicine influences millions of people. Primary care sports medicine physicians acquire special training in how athletics affect every aspect of the body — from cardiovascular and respiratory to dermatological and immunologic. Some serve as team physicians to professional sports teams or are personal physicians to elite level athletes. Through research and advanced fellowship training, and extensive hands-on clinical experience, primary care sports medicine physicians have acquired the skills to care for athletes of all ages, sports and levels of competition. All apply their broad knowledge – from team sports to extreme sports — to treat collegiate and high school athletes. Their interest is often a personal one, as sports medicine physicians were often athletes themselves with firsthand knowledge of injuries and illnesses and how they affect athletes. Injuries may be acute, chronic or from overuse. In any case, sports medicine physicians lean on their expertise to properly evaluate the injury and develop a strategic plan of care. Unless surgery is necessary to achieve the goal, the preferred plan of care is non-surgical. Rehabilitation is stressed, using casting, bracing and injections as needed. This plan returns athletes to their previous level of activity after timely and appropriate injury management. With a special knowledge of return to play issues, your physician will also know when and how it is safe to return to your sport or activity. Low Back Pain. Lumbar strain is very common injury for many athletes, especially weight lifters. Often injury occurs with insufficiently warmed up or stretched muscles. Lumbar strain is often treatable with regular targeted exercises. More serious injuries including sciatica and bulging disks require immediate orthopedic medical attention. Runners Knee. According to the Academy of Orthopedic Surgeons approximately 1 in 4 injuries in sports medicine involve the knee. Runners Knee, or patellofemoral stress, can cause irritation of the tendons below the kneecap due to overuse, wear or arthritis. Pulled Muscles. Pulls or tears can occur in any muscle, however, they often occur most often in the hamstring, calf and groin area. Pulled muscles can most often be attributed to improper warm up.